Make your Lumiere London visit even more memorable with these special offers. Combine seeing the stunning Lumiere London installations with some top treats for a dazzling weekend in London during the UK’s largest festival of lights. Save money on theatre tickets, see London attractions for less, snap up hotel deals and much more, by redeeming these offers during the festival, from 18 to 21 January 2018. Enjoy special offers and discounts at these iconic London attractions during Lumiere London 2018. Admire breathtaking views from the UK’s tallest sculpture, ArcelorMittal Orbit, with 50% off the general entry ticket. The Slide is not included in this offer, but upgrade your ticket for an extra £5 per person (subject to availability). Offer valid for visits between 8 January and 9 February. Book now or buy tickets at the venue using promo code LANDP50 -T&Cs apply. 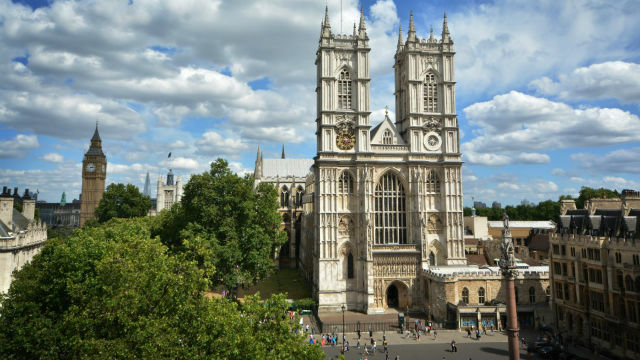 Enjoy half-price entry to Westminster Abbey on 18 and 19 January, from 6.30pm to 9pm (last entry 8pm). Buy your tickets at the door, and enjoy warm drinks in the Cellarium cafe and shopping at the Abbey shop. T&Cs apply. Get 2-for-1 tickets; while kids go free at the Florence Nightingale Museum. Plus, receive a free copy of The Hospital in the Oatfield with a spend of £15 in the museum shop. T&Cs apply. Explore Shakespeare’s Globe Exhibition & Tour for just £10 (admission usually £17 for adults, £15.50 for seniors, and £13.50 for students); while children go for £7.50 (usually £10.00) – tours run until 5pm. Please quote “Lumiere” at the Exhibition admission desk – T&Cs apply. Receive 10% discount on Big Bus Tours when booking online – services are running for an additional two hours (last full tour departure at 4:30pm) during Lumiere London. Book now - T&Cs apply. Stay for the whole of Lumiere London with these accommodation offers, putting you right at the centre of the action during the festival. Find offers at 35 hotels across 15 brands in London with Lumiere London Lead Hotel Partner, Marriott International - browse all of its Lumiere London offers. 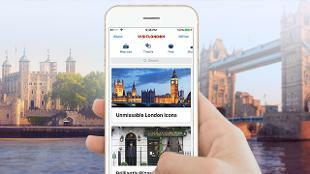 Check into one of Radisson Blu Edwardian’s central London hotels and receive a free breakfast and complimentary Wi-Fi. Book now – T&Cs apply. Take advantage of complimentary breakfast and free Wi-Fi at The May Fair Hotel, with its special offer during Lumiere London. Book now – T&Cs apply. Enjoy 15% off the best available rate when staying at five-star Hotel Café Royal during Lumiere London. You’ll also enjoy full access to its spa. Email reservations@hotelcaferoyal.com, or call +44 (0)20 7406 3333 and quote "Lumiere 2018" to book - T&Cs apply. Book at My Hotel Bloomsbury and be given a 10% discount on the best available rate during Lumiere London. To book, email nickoltolina@myhotels.com and quote “Lumiere”. T&Cs apply. Find 15% off the best flexible rate with a free upgrade to the next room category when staying at The Nadler Victoria during the festival. Book now. Subject to availability, T&Cs apply. Stay at The Langham hotel during the festival and enjoy 20% off the best available rate (no deposit required). Bookable from 12 December to 21 January on the hotel’s offer page or by quoting the promocode "PLUMIERE18". T&Cs apply. 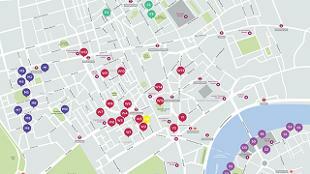 Book a standard double or twin room at Every Hotel Piccadilly for £160 during the festival. Book online. Subject to availability. T&Cs apply. Stay at Thistle Trafalgar, where you can enjoy a special rate of £150 per night for standard double and twin rooms during Lumiere London. Book online. Subject to availability. T&Cs apply. Book a stay at Good Hotel London for the duration of Lumiere London, and be given complimentary Emirates Air Line cable car ticket(s), plus 10% off at in-house restaurant, The Living Room. Add an extra night and receive 10% off the full stay. To book, email: reservations@goodhotellondon.com, or call: +44 (0)20 3637 7407 and quote Lumiere London. Offer valid for arrival on 18 January and departure on 21 January 2018. T&Cs apply. Book at one of Merino Hospitality's serviced apartments and be treated to a bottle of champagne, a theatre voucher up to £100, Charles Dickens Museum tickets and more. Minimum two-night stay. T&Cs apply. Stay at one of Cheval Residencies' fully serviced apartments and enjoy a 25% discount on the normal rate during Lumiere London. Book now using the code LLCHEVAL to redeem the offer - T&Cs apply. Save 15% on the best available rate at Bridge Street Global Hospitality’s properties: The Kings Wardrobe, Notting Hill, Suffolk Lane, Circus Apartments, Atelier EC1 and Stüdyo Paddington. Book online using promo code “Lumiere15%”, email: reservationsemea@bridgestreet.com, or call: +44 (0)20 7792 2222. T&Cs apply. Treat yourself to a relaxing spa treatment or a naughty-but-nice afternoon tea during Lumiere London. Take some “me” time at agua Bathhouse & Spa with the Lumiere Spa Social on 18 January, featuring access to the spa, a mudpack, massage, two cocktails and supper served in the spa - all for £90. To book, call: +44 (0)20 3747 1010, or email: aguamondrianlondon@sbe.com – T&Cs apply. 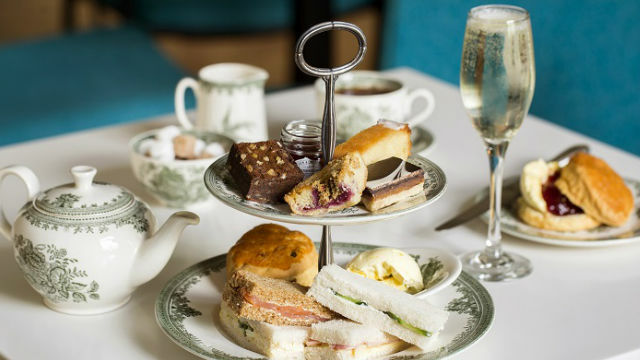 Indulge in afternoon tea for two for just £29 at The St Ermin’s Hotel, between 12pm and 5pm. 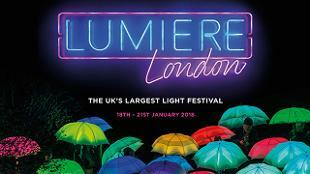 Book now quoting Lumiere London - T&Cs apply. Receive a 30% discount on the Royal Afternoon Tea in the Palace Lounge at The Rubens Hotel during Lumiere London. To book, call +44 (0) 20 7834 6600. T&Cs apply. Be treated to a complimentary glass of Fortnum’s champagne when booking a high tea, afternoon tea or savoury afternoon tea in Fortnum & Mason’s Diamond Jubilee Tea salon. To book, call +44 (0)20 7734 8040, or email Reservations@FortnumandMason.co.uk and quote “Meet Me At Fortnum’s”. Valid Monday to Friday and subject to availability. T&Cs apply. Treat yourself to tea and cakes at the Wellcome Collection - you'll receive a 15% discount on Wellcome Kitchen's afternoon tea, or a free hot drink at Wellcome Café when purchasing a cake. Show this offers page to redeem the offer. See London from a different perspective with a trip on one of these Thames river boats. 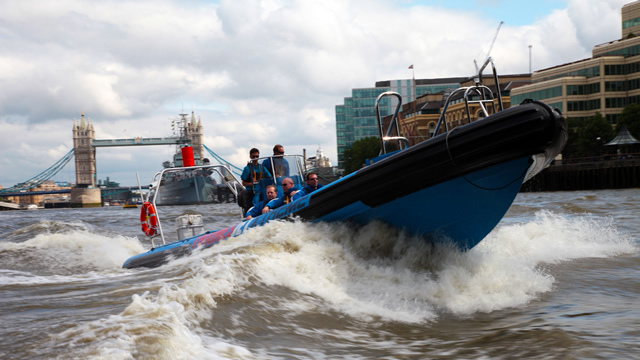 View London’s top sights from the river with City Cruises during the festival, featuring £10 adult and £5 child hop-on hop-off river passes. Book now. T&Cs apply. Hop on and off MBNA Thames Clippers river boats all day with 2-for-1 on Adult River Roamer tickets. Book online using discount code LUMIERE18, or quote “LUMIERE” at MBNA Thames Clippers ticket offices – T&Cs apply. Go on a 50-minute high-speed adventure on the Thames, as you race past London icons on one of ThamesJet’s boats – receive 50% off tickets (equaling £19.50 for adults and £14.50 for children) during Lumiere London. Book online from 26 December. T&Cs apply. Relax on a Thames River Services cruise from Westminster to Greenwich during Lumiere London with 60% discount on normal prices. Book online using promo code “Lumiere18” – T&Cs apply. 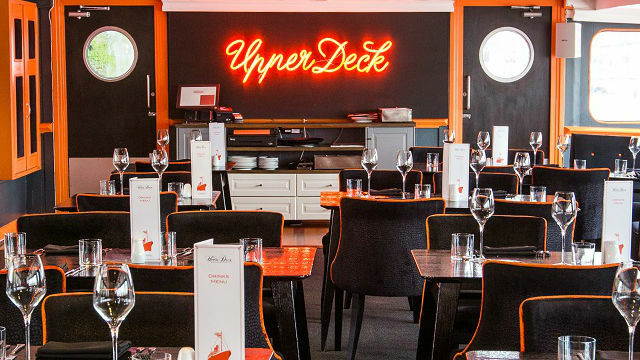 Enjoy a 50-minute after-dark speedboat experience with Thames Rockets, followed by two courses from the Lumiere menu at the Mondrian London hotel, and a Lumiere cocktail. Book now. T&Cs apply. Refuel and warm up during Lumiere London with these special menus and cocktail offers. Tuck into prawns, steak and green leaves plus a glass of prosecco at Drake & Morgan for £9.95. Book now quoting “Lumiere London” – T&Cs apply. Select a small dish and cocktail from Spiritland’s menu for just £10. Book now quoting “Lumiere London” – T&Cs apply. Enjoy two courses (starter and main or main and dessert) from the Lumiere set menu, with a glass of house wine or beer for just £22 at Rotunda Bar and Restaurant. Book now quoting "Lumiere London" – T&Cs apply. Enjoy a free cocktail when ordering a main course at Steak & Lobster Warren Street. Book now online, call +44 (0)20 7666 5430, or email: warrenstreet@steakandlobster.com. Please quote “Lumiere Festival”. T&Cs apply. Get a taste of authentic Peru during the festival with Señor Ceviche’s special Lumiere Feast set menu for £17 per person (or £20 with a pisco sour cocktail). Booking advised, but not compulsory. T&Cs apply. Dine at Percy & Founders with 20% off food on breakfast, lunch or dinner for up to six guests. Book now, quoting "Lumiere London 2018" to redeem the offer. Enjoy fresh seafood for less with Pescatori's £19.50 two-course menu per person, which includes a glass of prosecco. Available Monday to Friday 12pm to 10.30pm, and Saturday 5.30pm to 10.30pm. Book now quoting "Lumiere London 2018" - T&Cs apply. Select two dishes from May Fair Kitchen’s Italian and Spanish menu, and receive a complimentary cocktail. Book now online, call: +44 (0)20 7915 3892, or email: reservations@mayfairkitchen.co.uk. Please quote “Lumiere Festival”. T&Cs apply. Pick two of Monmouth Kitchen’s tasty Italian and Peruvian sharing dishes, and be served a complimentary cocktail. Book now online, call: +44 (0)20 7845 8607, or email: reservations@monmouthkitchen.co.uk. Please quote “Lumiere Festival”. T&Cs apply. Enjoy two Lumiere Glow cocktails and a Blind Spot snack for £25 at the St Martin's Lane hotel. Quote "Lumiere London 2018" to redeem. Savour a Royal Lumiere cocktail and a trio of Mad Hatters Afternoon Tea cakes for £20 at the Sanderson. Quote "Lumiere London 2018" to redeem. Save 20% on food, soft drinks and merchandise with movie-themed restaurant Planet Hollywood’s Lumiere London offer. Download the voucher [PDF 156KB], and call to book: +44 (0)20 7287 1000 – T&Cs apply. Savour three courses with glass of champagne for £45 per person at West End dining hotspot Quaglino’s. Booking is recommended and the offer is subject to availability. To book, call: +44(0)20 7930 6767, or email: quaglinos@danddlondon.com. Please quote “Lumiere London” to redeem the offer – T&Cs apply. Receive a complimentary Lumiere mocktail (carrot, ginger and apple juice to help you see in the dark!) at Rainforest Café during the Lumiere weekend. Quote "#LIGHTUPTHEJUNGLE" when booking in advance (call: +44 (0)20 7434 3111 or email saleslon@therainforestcafe.co.uk) or on arrival. - T&Cs apply. Save 50% on food during lunch or dinner at Williams Bar & Bistro at St. James’s Hotel and Club during the festival. Book online, or call: +44 (0)20 7316 1620, and quote “Lumiere 2018” – T&Cs apply. Enjoy a free glass of champagne when dining at the Ten Room at Hotel Café Royal. Applicable to à la carte menu, minimum two courses per person. To book, email restaurants@hotelcaferoyal.com, or call +44 (0)20 7406 3310, and quote “Lumiere2018”. T&Cs apply. Treat the little ones to a complimentary kidtail and receive 15% off the cafe and wine bar menu at Aster during Lumiere 2018. Book now quoting "Lumiere London" – T&Cs apply. Soak up spectacular views from the restaurant ship R.S Hispaniola and get 50% off your final bill when ordering from the à la carte menu. Book online, or call +44 (0)20 7839 3011. T&Cs apply. Be treated to 30% off all tapas with any two cocktails ordered in the Reunion Bar at The Grosvenor Hotel during the festival. No reservation needed. Subject to availability. T&Cs apply. 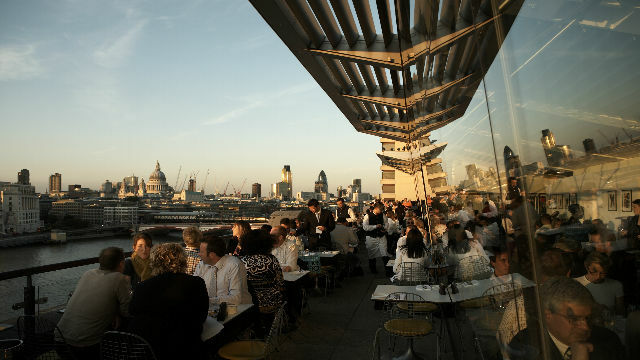 Enjoy a three-course set menu and cocktail for £36 at OXO Tower Restaurant. Book now quoting "Lumiere London" – T&Cs apply. Savour delicious dishes from Skylon’s pre- and post-theatre menus, including 2/3 courses for £25/£30 per person in the Grill, or 2/3 courses for £30/£35 per person in the Restaurant. Book now quoting "Lumiere London" – T&Cs apply. Be treated to free homemade sangria at Cuban bar and restaurant, Cubana Waterloo, when ordering Cuban street food. Book now quoting "Lumiere London" – T&Cs apply. Warm up with 2-for-1 on winter cocktails including hot toddies, Irish coffees and boozy hot chocolates at Four Corners Café. Book now quoting "Lumiere London" – T&Cs apply. See the latest hit show or one of London's top musicals with these theatre deals. Book seats at some of London’s top shows for as little as £10 with Official London Theatre’s New Year Sale. Book now – T&Cs apply. Catch Rhys Ifans as he stars in A Christmas Carol at The Old Vic with 2-for-1 deals on tickets using promo code “lumiere” during the festival. Book now. T&Cs apply. Brush up on your cooking skills with a 2-for-1 offer to celebrate The Cookery School at Little Portland Street’s 15th birthday: Bread Making, Sausage Making, Meat & Poultry, Perfect Eggs, and Sauces. Classes only take place on 20 and 21 January during the festival. Book online using promo code “CSBIRTHDAY241”. T&Cs apply.